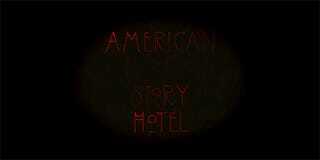 Welcome to American Horror Story: Hotel’s Mega-Thread and viewing reaction post. Last week we checked into the Hotel Cortez with our ensemble cast for season 5. This week’s 2nd episode, titled “Chutes and Ladders”, promises to ruin the fond memories you may have had playing the Milton Bradley game. Chutes and Ladders. Chutes. Ladders. Get it? Get it?!? You get it. So over on Bloody Disgusting Trace Thurman does well in putting to words exactly how I feel about AHS: Asylum and AHS: Coven. Basically, that Asylum was the best season to date and that Coven was (one of) the worst. Definitely worth a read. For what it is worth here is my ranking (from best to worst) of all the seasons so far. The common denominator for the first three are that at least they had elements of horror that made me feel creeped out. Here’s hoping that even if Hotel remains surface deep, all style and no substance that at least it gives us some beautifully disturbing imagery. I’ll share my post-viewing thoughts in a separate comment, either later tonight or tomorrow. As well as my round-up of links on the episode across the Kinja-verse. Share your real-time viewing thoughts down below in the comments, I’ll chime in during commercial breaks. In other words, there will be SPOILERS in them comments down there. If you have a link to your personal manifesto about this episode then drop it in the comments and I’ll add to this post proper. What’s The Chatter Across The Kinja?